I have a lesson for you today that will be good for speaking practice. I want you to speak today, either out loud so people think you talk to yourself like a crazy person, or in your head, so you can create voices in your head that speak English. So you’ll either be crazy and talk to yourself or you’ll have voices in your English that speak English. Got it? It’s almost the end of the year, so I wanted to do a bit of a yearly review. 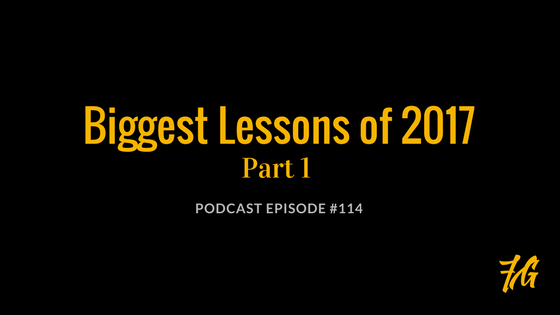 Review some of the biggest, most popular, and also what I consider to be the most important lessons I learned with you this year. But I want you to get involved today, so I am going to bring you in on the conversation. I’m going to ask you some questions about what I talk about, and you should answer them. If you ever hear me say the word, “blank”, that means you need to fill in the “blank” with a word. So if I said, “I really like “blank”, you would say, “Kevin, I really like…clowns” Make sense? So review with me some great lessons from this year , use you mouth a bit, or use your internal mouth, whatever the hell that is, and feel good!